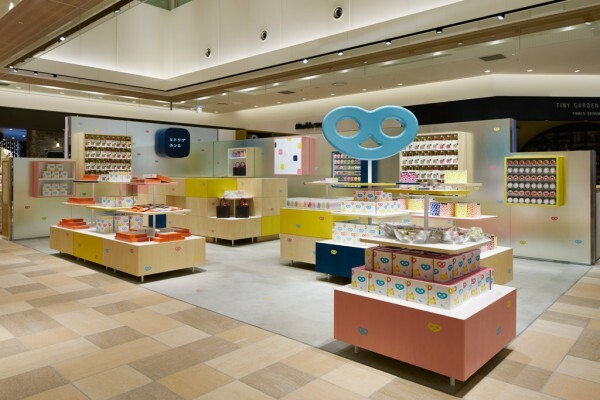 KANRO is a company involved with the manufacture and sales of confectionery and food, which directly manages HITOTUBU KANRO, a candy shop set to open in the LUCUA 1100 shopping center, and for which we performed the interior design. 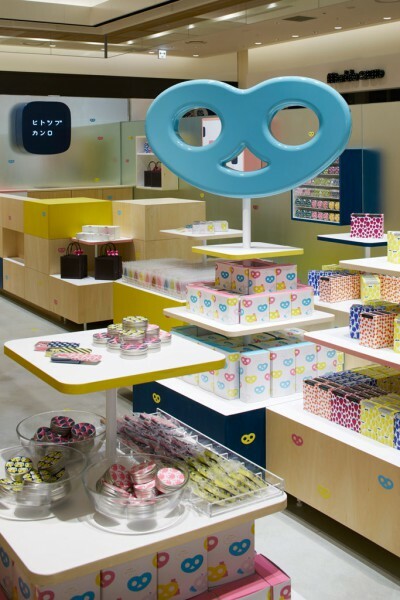 Since HITOTUBU KANRO products put forward the concept of candy as "gifts", characterized by package designs, such as bags and cans, etc., which can easily be carried as presents, deliverables included a space where each product package would stand out. The shop, which sits on an island-shaped lot roughly 30m2 in size, is delimited by an L-shaped wall covered in frosted mirrors that reflect a diffuse light that imparts brightness and depth to the store. 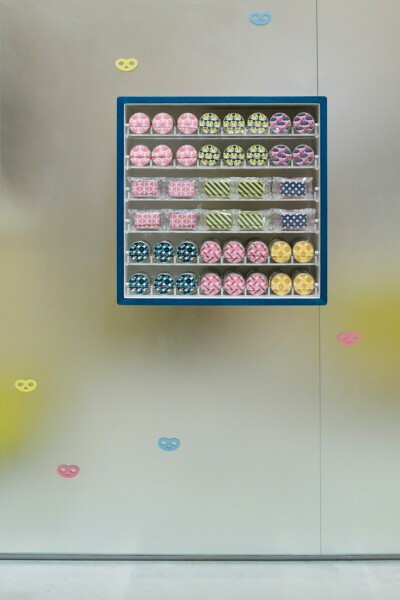 Fixtures placed at the front of the shop are designed as if they were stacked gift boxes that echo the colors used in bag packaging. 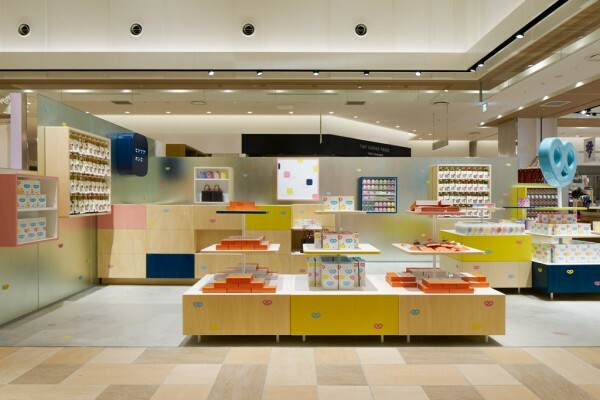 Moreover, the use of modular boxes on the walls allows products to be put on display, while offering a space for the packaging to create a visual impact on their surroundings. 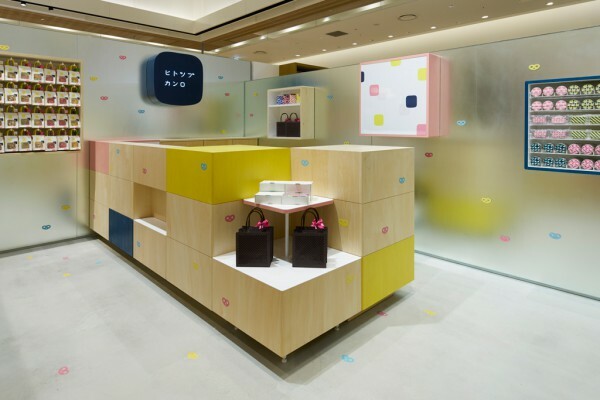 Furthermore, an art object representing HITOTUBU KANRO's flagship product, known as the "gummytzel," stands in the corner of the store, serving as the shop's symbol while beckoning clients inside the store. The lot is a lively environment, filled with various variety shops, in which we were tasked to create a store that would not only stand out, but also allow its brand image to be easily recognizable.